The Writing of J.Rocci: Puppy Tax Freebie! Sky runs a doggy daycare and, in his free time, volunteers as part of a therapy dog pair with his Border Collie, Phoenix. On a visit to the local hospital, Sky and Phee share an elevator with Tony Marasutti, the hot doctor who's great with kids and loves animals. Sky doesn't think he has a chance, but then Dr. Tony invites him and Phee for coffee, so of course Sky has to invite Dr. Tony home to meet the rest of the menagerie! 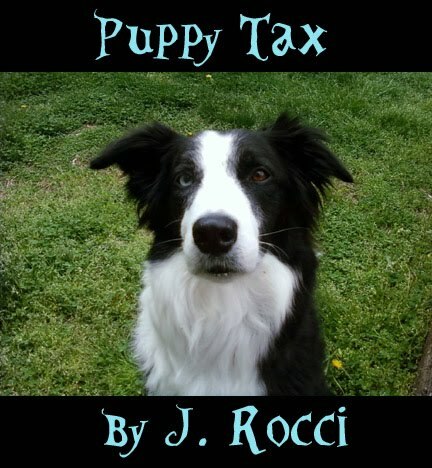 Puppy Tax was originally published in the anthology "Animal Attraction" edited by Vincent Diamond.